As the seat of Nazi power and the initiator of the Final Solution, Germany’s role in the crimes of the Holocaust is obvious and overwhelming. Thus any project to help facilitate the prosecution and punishment of Holocaust perpetrators should naturally focus on Germany. While it is true that Germany is one of the few countries which to this day continues its efforts to bring Nazi war criminals to justice and has a special agency (Zentral Stelle der Landesjustizverwaltungen zur Aufklarung von NS-Verbrechen) for this purpose, the fact remains that numerous Germans who actively participated in the atrocities of the Holocaust were never investigated, let alone prosecuted, for their crimes. To date, Germany has indicted close to 100,000 individuals for crimes against civilians during World War II, but only 7,000 of them were actually convicted. 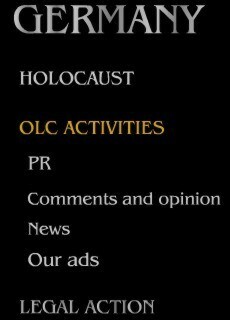 Under these circumstances, “Operation: Last Chance” seeks to uncover new cases, hereto unknown to the authorities, and thereby facilitate the prosecution of those who actively participated in the mass murder of European Jews during the Holocaust.